This machine is suitable for small to mid-sized workgroups which are looking for a reliable and high quality machine, the Canon ImageRunner 1730iF offers printing copying and scanning features. 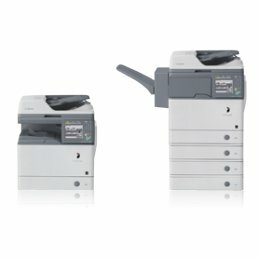 The Canon 1730IF Copier has a simple and easy to use interface, with all the functions packed into one compact design. The Canon 1730iF Imagerunner prints black and white at 32 pages a minute. The imageRUNNER 1730iF employs the powerful imageCHIP LITE system architecture, consisting of a new CPU to speed up copy, print, fax, scan, and send functions. This architecture integrates the CPU and the image processing technologies onto a single chip, allowing for highly efficient processing of multiple functions simultaneously. Using an advanced Contact Image Sensor with an energy-efficient white LED array, the imageRUNNER 1730iF delivers superior quality for copies and color scans. With a copy scanning resolution of up to 600x600 dpi and a native print resolution of 1200x1200 dpi, you benefit from the most faithful reproduction of text and images. The imageRUNNER 1730iF gives IT managers control and helps drive cost out of operations with a variety of tools including the standard Remote User Interface, support for Canon's imageWARE Enterprise Management Console application, and Canon's Generic PCL6 driver to simplify driver deployment.